May 2014 brought a TechEd North America event and produced some interesting news from that conference. But there was lots of other stuff to discuss during the month. Here’s what I published on my Exchange Unwashed blog on WindowsITPro.com. Learning about DLP in SharePoint Online – a most unusual activity for an Exchange person (May 29): I’ve covered quite a lot of Data Loss Prevention (DLP) content recently and went back to the well to listen to a TechEd session that discusses a couple of interesting points about the implementation in Exchange 2013 and how DLP will be extended to cover SharePoint 2013 in the near future. Exchange 2013 CU5 – the totally unremarkable update (in a good way) (May 27): Thirteen weeks after Microsoft released Exchange 2013 SP1 the next cumulative update arrived. In this case, it was a blessed relief to find that the quality was good and that no major upheaval was expected during deployment. A number of points have emerged since CU5 appeared and I have updated the post with new information as items appeared. Microsoft pulling back on some MEC commitments and a rather delicious rumour (May 20): The MEC commitments were to provide the “Office Graph” and “Clutter” features to on-premises customers in the next major release of Exchange. That appears to be impossible for now because of the resource demands of machine learning and the need to refine algorithms and data very frequently (something that might be difficult for on-premises customers to manage). So these features will be Office 365-only for the foreseeable future. The rumour is that Microsoft will announce a new on-premises version of Exchange at TechEd EMEA in Barcelona at the end of October. Everything has been very quiet since the rumour appeared. I’m not sure if it will happen. But it might. If Gmail had a reasonable client (like Outlook) (May 13): I’ve long thought that Google Apps and Gmail would be a much better contender in the enterprise space if they had a good integration with Outlook. The IMAP4 integration is barely acceptable as it’s based on a very old protocol and doesn’t exploit the capabilities of either server or client. But they don’t, so I think Google will continue to struggle against Office 365. The irritation of mailbox database pings and event 6002 (May 8): There are places in Exchange 2013 where the fit and finish is not what it should be. In this case, tons of 6002 events are generated by pings that deliver absolutely zero value. The good news is that a fix is apparently on the way, which proves that complaining about this stuff sometimes works. I think! Why you absolutely cannot upgrade Windows on an Exchange server (May 6): The arrival of Windows 2012 R2 support in Exchange 2013 SP1 caused a flurry of speculation that it would be good to be able to update Windows 2012 servers to R2 and then upgrade Exchange 2013 to SP1 (or even CU5 now that it’s available). But you can’t. It’s a rotten idea and you’ll fail if you try. So there. Just don’t do it. Strong speaker line-up for Exchange Connections 2014 (May 1): I am the chair for the Exchange Connections conference at the Aria Hotel in Las Vegas next September 15-19. The great thing is that we’ve been able to secure a fantastic line-up of speakers that underline the aspiration of the conference to be the premier independent event for all things related to Exchange. It will be very different to TechEd or MEC. Mostly because the Exchange MVPs will go wild… People like “Exchange Server Pro” Paul Cunningham (who seldom speaks outside Australia) or Michael Van Hybrid. Regretfully we won’t have Steve “PST” Goodman because he has a pressing family event, but the team will more than make up for him. 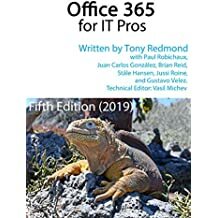 Now we’re into the summer months but the news about Exchange, Exchange Online, Office 365, and even a little SharePoint continues unabated. There’s lots to do, so I had better get started. This entry was posted in Cloud, Email, Exchange, Exchange 2013, Office 365, Outlook and tagged Clutter, Data Loss Prevention, DLP, Exchange 2013 CU5, Exchange Unwashed, Gmail, Google Apps, Office Graph, Outlook, SharePoint Online, TechEd EMEA. Bookmark the permalink.